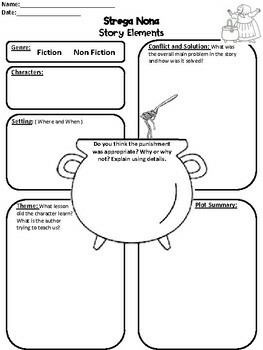 This resource includes a graphic organizer for story elements in 2 levels for differentiation. 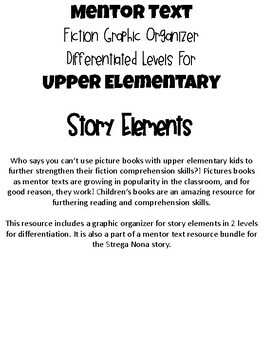 It is also a part of a mentor text resource bundle for the Strega Nona story. 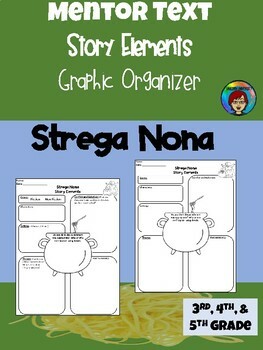 This resource is also a part of the bigger Strega Nona mentor text bundle. 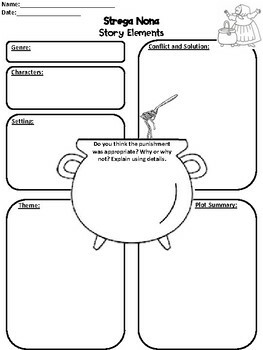 You can check it out and preview it below!